Keeping your commercial kitchens clean and neat need not be difficult when you have the right tools. 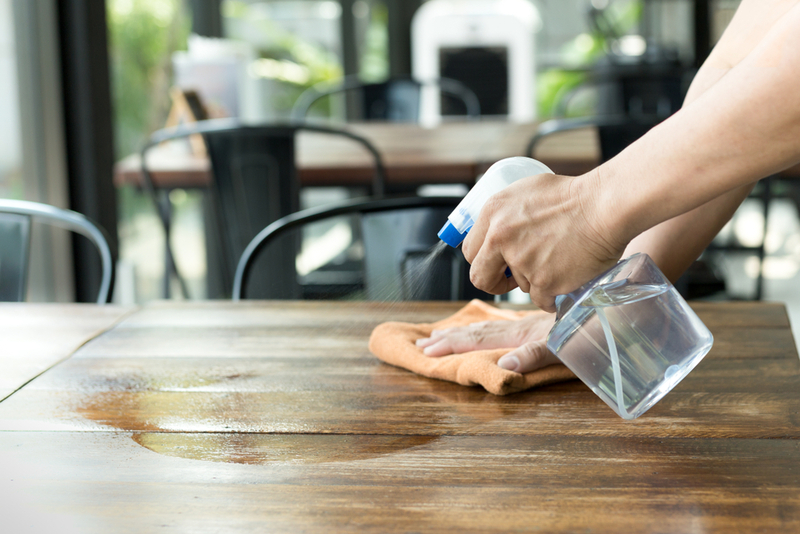 Get the best restaurant towels for all your cleaning and polishing needs only from Honolulu’s most trusted restaurant linen service provider: Dust-Tex! We have a whole range of towels designed especially for the greasy and grimy restaurant kitchen! Light, highly-absorbent, heavy-duty towels designed to sop up the nastiest spills and keep your tables, countertops, and bars at their cleanest and in the best condition! Use as is or use with your favorite cleaning solutions to get better than best results! Perfect for all-purpose cleaning, utility towels can go from handling your hot pans and pots to degreasing your grills and stoves. 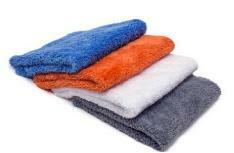 Dust-Tex’s utility towel is the towel that has all of your cleaning and drying needs covered! 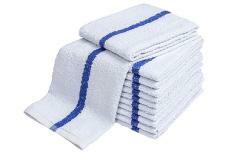 Give your glassware and cutlery the best treatment and the best polish with our special set of glass towels! Made of high-quality, highly-absorbent fabric, these glass towels are designed for drying and polishing even your most delicate kitchenware. It leaves your glasses, plates, stemware, and silverware shiny, lint-free, and ready to impress even your finest diners. Excellent Product Selection. We employ the strictest standards in the quality control department, especially when it comes to our product selection. We take extra measures to ensure that every item you get – from the humblest bar towel to the most exquisite table linens – is of the best commercial quality. Customer Care is Our Priority. Dust-Tex fully recognizes the unique needs of each of our customers, which is why everyone on our team goes above and beyond the call of duty to make sure that those needs are known to us and are fully, satisfactorily met. The Best Facilities. We are proud to say that we have some of the most cutting-edge, high-tech facilities in use anywhere in Oahu and even in Hawaii. The Dust-Tex linen and laundry treatment facility uses the latest technology to deliver nothing but the best, cleanest, safest results for your satisfaction and your diners’ peace of mind. Convenience and Efficiency. Dust-Tex employs an operations system that is engineered to not only deliver the cleanest results but also to ensure that everything works quickly, efficiently, and conveniently. We guarantee on-time delivery, easy and accurate invoicing, and accessible customer care to address your concerns as they come up. Get your restaurant towels and other restaurant linen service needs only from the company that has built a reputation for reliability and has the expertise and the experience, and the commitment to the satisfaction of our customers that you require. 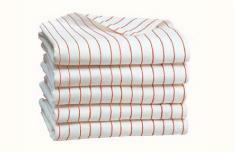 Get your restaurant towels only from Dust-Tex! Contact us today at 808-842-4811 or drop us a line to get started!